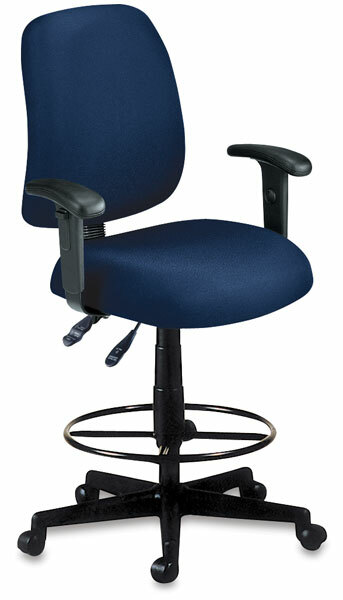 These are task chairs loaded with features: built-in lumbar support, stain-resistant fabric, easy gas lift seat height adjustment, and a five-star base with casters. Includes a footring kit and height extension pole to modify the chair for drafting. This set of arms is adjustable in height. They are available only in black. ® OFM is a registered trademark.